The last ten years have been a whirlwind schedule for this San Diego deep house DJ. He has been playing music all over at everything from desert events and park parties to lounges and restaurants. Andy Gomez now focuses most of his energy into San Diego’s house music scene as the main deep house DJ behind the We Are One events. Having run many successful weekly and monthly events in San Diego during the past eight years, he continues to push his mixes ever further, turning heads and rocking dance floors wherever he goes. House music knows no limits, and neither does this DJ. 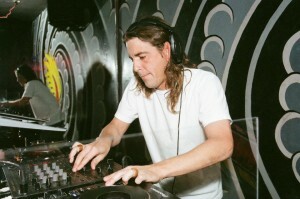 Andy Gomez is a resident DJ at Bar Dynamite’s Wednesday night house music event Dance Klassique in Mission Hills, and he plays at many of the outdoor summertime events held in San Diego County.